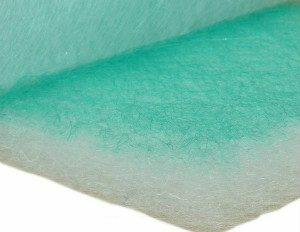 Paint-stop filter is suitable for overspray filtration in spray paint booths, it is an economical filter to catch paint overspray in the finishing/coating industry. It is consist of non-flammable long glass fiber, which density progressively increases in the direction of the air flow and has an open weave pattern, thanks to the open weave glass fiber structure, the paint particles can be absorbed deeply into the outlet side surface. At the year of 2017, we enlarged our warehouse and we are increasing a new production line to enlarge our production capability to satisfy more and more customers. These make us become the most competitive manufacturer and wholesaler for Paint stop filter. No matter customized mats or standard rolls if you are looking for a reliable Paint-stop filter partner in China, we are your best choice. 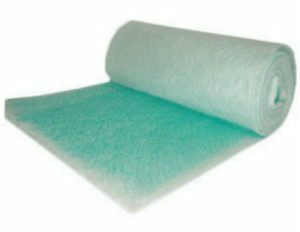 Filter mats are available in rolls as well as in customised sizes, as required.